Release muscle tension and soft-tissue restriction with foam roller massage techniques. Revised 3rd Edition! 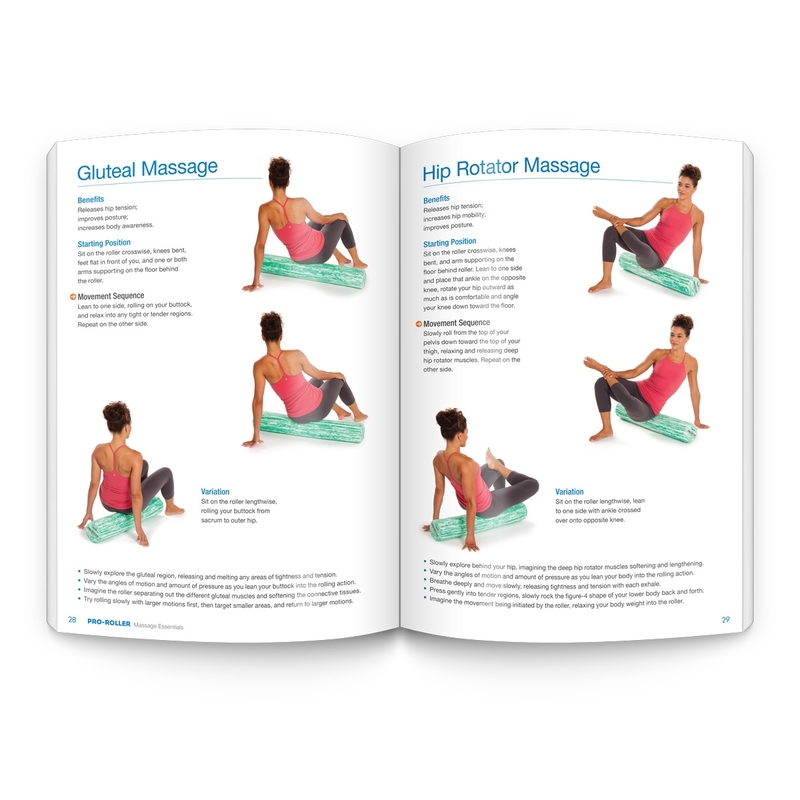 In this updated book, Angela Kneale, OTD, MA, OTR/L, NBC-HWC, provides recent research about the benefits of foam roller self-massage and comprehensively guides more than 40 exercises, and numerous modifications, for rolling and releasing sore or tight muscles, fascia and connective tissues. Re-center body and mind by following clear step-by-step instructions, with descriptive photographs, that show you how to perform massage techniques to enhance function and assist healing, while promoting relaxation and wellbeing. This book is an excellent guide for both experienced clinicians and new pro roller users. The book thoroughly explains the benefits and philosophy of massage using the pro roller and gives easy to follow instructions for each specific muscle group to be targeted. For new users, the guided massage areas can be followed in order for optimal progression of whole body wellness. The exercises are beneficial for body awareness, relaxation, pain relief and alignment. The pictures are excellent examples of proper technique. The instructions are clear. Variations of each massage are listed to provide options for the user to find optimal personal results. For experiences users, the "at a glance" page is an extremely convenient visual reference for choosing massage positions that target specific areas of need by muscle group. Personally, I have found that the pro roller massage techniques have significantly improved the awareness of my core muscle groups and relieved TMJ tension. The relatively short time that I spend each day on my pro roller using the techniques that this Author has outlined, has resulted in better posture, flexibility and an overall improved sense of wellness. I would recommend this book to clinicians as well as anyone wanting to relieve tension in target areas. Ordered this book when I bought a foam roller. It&apos;s a great when I get home from work or after a workout. Sometimes it hurts to do some of the massages but it&apos;s always worth it afterward. Good pictures and descriptions. Some of it&apos;s pretty basic but I wouldn&apos;t have figured out most of the massages without it. Worth it for the price.